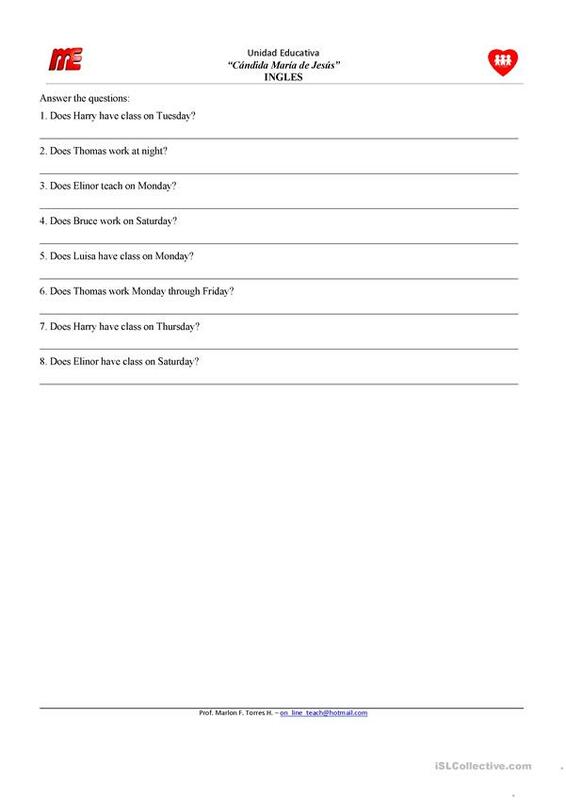 A practice activity on the simple present tense based on daily routines. 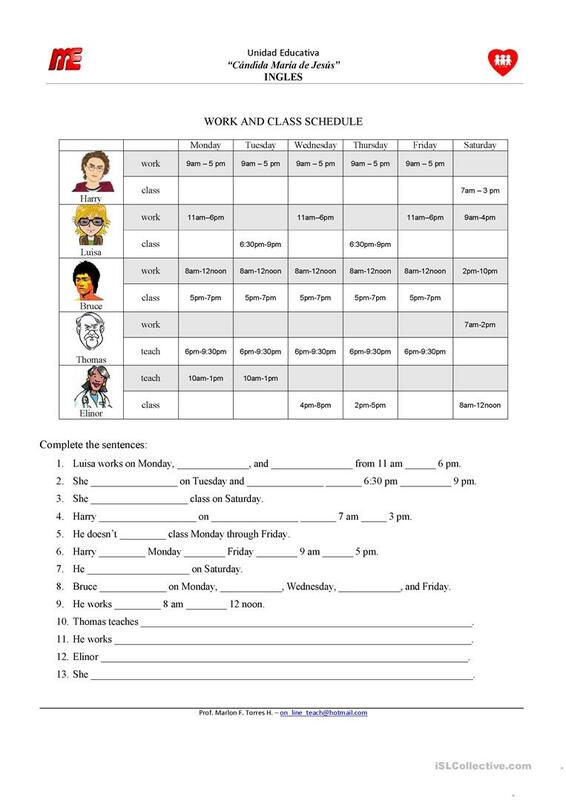 This downloadable printable is recommended for high school students at Elementary (A1) level. It is valuable for practising Present simple tense in English, and is a valuable material for honing your class' Reading and Writing skills. It focuses on the vocabulary topic of Actions. marlonfrancisco is from/lives in Venezuela and has been a member of iSLCollective since 2013-01-09 16:55:37. marlonfrancisco last logged in on 2013-01-09 16:55:42, and has shared 1 resources on iSLCollective so far.